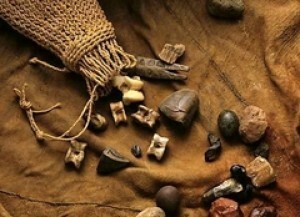 Muti is a catch-all term referring to various types of traditional medicines. 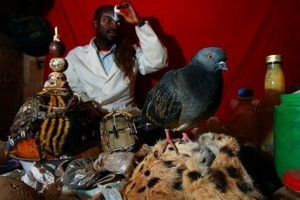 In South Africa over 80% of the population regularly consult a traditional healing practitioner, either a sangoma (traditional healer) or nyanga (traditional diviner). Visitors are always welcome to attend traditional healing ceremonies, which happen throughout the year in both cities and rural areas. During these ceremonies the sangomas and nyangas enter a trance state in which they commune with the spirit world and their ancestors. These men and women believe that their ancestors have singled them out to follow a calling to practice traditional South African healing. If a call to heal is not answered, they believe there is a negative impact on the person ignoring the call, such as illness, instability or even insanity. 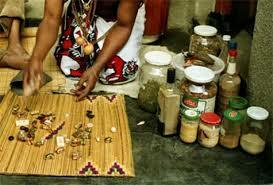 It is not easy to become a sangoma. The twasa is a rigorous journey full of hardships, personal confrontations and overpowering visions, aimed at psychically preparing the person for his or her vocation. 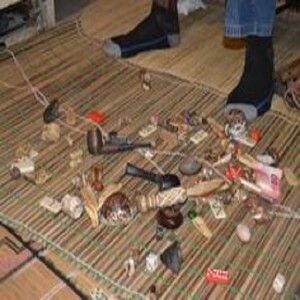 It is the traditional healer’s work to act as a medium between the spirit and physical worlds to discover the hidden causes behind misfortune or illness and prescribe appropriate action. If you are keen on visiting a traditional healer, it is best to secure the help of a trustworthy local guide: as with all professions, be aware that not all healers are ethical or suitably skilled. Visit any of the traditional African markets in the bigger cities and towns for a dazzling array of traditional medicines.